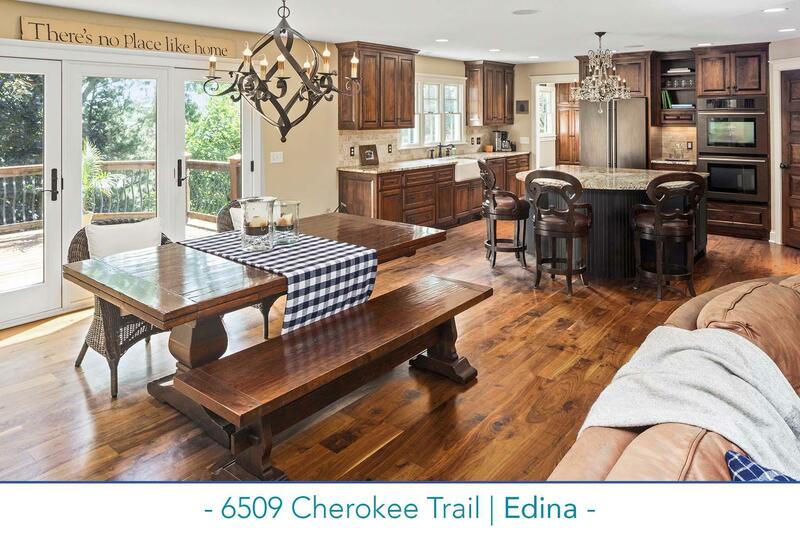 Fully remodeled rambler once featured in the Remodeler’s Showcase on great site close to Edina schools. Three bedrooms on main, plus two bedrooms on the walkout level. Terrific main level great room with fireplace and hardwood floors open to center island kitchen with alder cabinetry. Spacious deck, great main level den, plus mudroom. Walkout includes family room, new laundry, and porch, plus access to outdoor terraces. Over 1/3-acre lot with fenced in yard. Newer mechanicals, windows, and roof with copper gutters. Shake front and Hardie board on other three sides. Hidden storage room behind the left shelf in the lower level family room. All new landscaping!